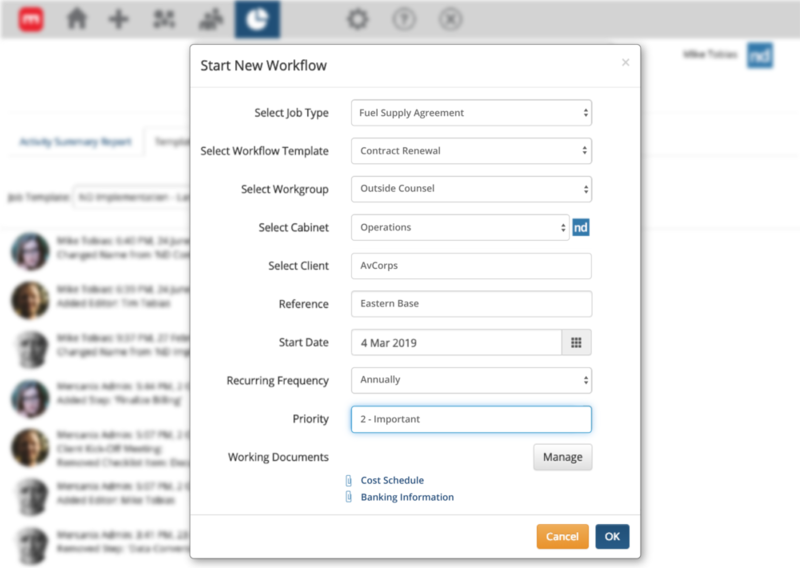 mot-r workflow is built to ease the pressure on in-house counsel who are under constant stress to deliver more, with less. mot-r helps you deliver on your expertise — and eliminate time-draining administrivia. Welcome to precise, timely and transparent legal workflows. Each person’s involvement and actions taken in the process are fully trackable and auditable — the final documents and process beyond reproach. And you’ll have a quiet confidence knowing you are proactively managing all the upcoming contract deadlines. mot-r: workflow engine. Exclusively for NetDocuments. mot-r by mercanix, builds on NetDocuments’ security, scalability and performance. It layers on powerful workflow and process management capabilities for better resourcing, coordination and communication and risk management. It features: automated work queues, notifications and document generation. As Simple As A Checklist. As Powerful As NetDocuments. mot-r is equally at home automating and supporting many Firm processes like Client Onboarding, Conflict Checking, IT Management, IT Security and the like, so your investment in NetDocuments and mot-r can create widespread value.